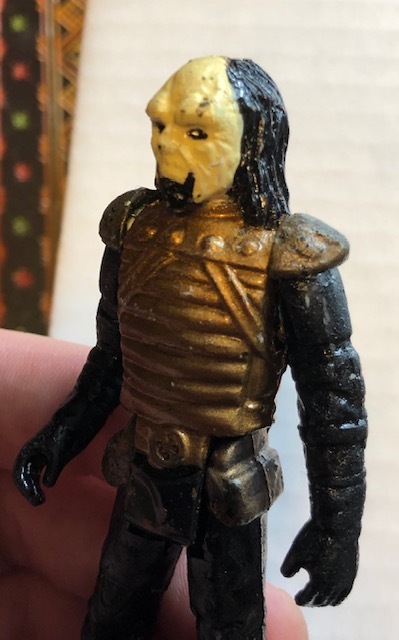 Thread: ERTL Star Trek 3 Klingon Prototype Found! I've talked about the ERTL Star Trek 3 figures before and I especially love this press photo of the handmade mockups. While the Kirk, Spock and Scottie are obviously repainted Mego The Motion Picture figures, I always wondered what the Klingon figure was. Recently I got an email from a collector named Nick, who bought a large collection, well I'll let him explain. "I acquired this via an extremely large carded Star Wars collection and it was randomly in there. I admittingly know very little about Star Trek toys but I could tell it was a Klingon of some sort. The guy I bought the collection from was selling it for a friend of his who has dementia and needed money for hospital bills. The collection of Star Wars figures I noticed were clearly accumulated during the 80s by this one collector because almost all of them had price stickers from a department store called “Long’s.” So it wasn’t a pieced together collection...he was buying them as they were coming out in the 80s. After some research, I found out that the department store chain was located in Iowa. So, when I finally got around to figuring out what the Klingon figure was I was perplexed. I couldn’t find anything online about it. Luckily I have some friends who could help. They pointed out that it looked like a mock-up for the ERTL line from the 80s. 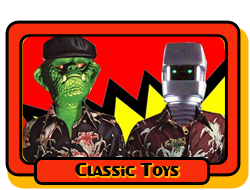 Then bam, I came across the photo on your site of the vintage ToyFair pic. Ans then read ERTL was based in Iowa. And then when I saw the glue on the feet, it pretty much sealed the deal. I knew it was that exact figure. I’m trying to gather more information from the person I bought it from but so far it’s a roadblock. But somehow this collector got his hands on it in Iowa in the 1980s (likely). " There is the glue that is so prominent in the black and white shot in the picture. You can see a colour shot of the figure in the 1984 ERTL catalog here. You can totally see the Kenner roots of this mock up, pretty sure those are biker scout legs. Thanks to Nick for sharing this awesome find. Yep I admittedly thought speeder bike body as well. Even though I know little about ROTJ figures. 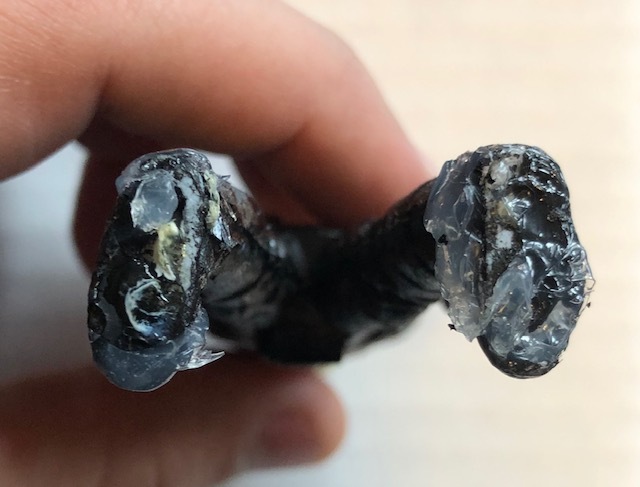 The find looks like it was molded from one of the Jabba's palace goons. Either way not a bad throw in item to find, I wouldn't be surprised if sells this one to recoup some of his collection costs. And yeah, to me it also looks like one of Jabba's guards might have been a base for this mock up, maybe a Weequay? ^That's who I was thinking. What a cool piece of toy history there! Thanks for sharing! Pretty sure that is a Weequay body. That is a wonderful prototype. It really is terrific. 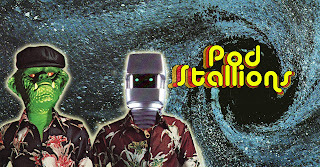 Makes you wonder if the Mego TMP repaints from that same picture might turn up. Makes me want to bash my own together. Looks very simple. Weequay Torso and Head / Biker Scout Limbs. Done.